If you have broken, decayed, or even missing teeth, Dr. Jerry Bock and our team know just how to fix up your smile. With our restorative services, we can drastically improve the appearance of your damaged teeth while making sure they’re strong enough for you to trust day to day. We have a variety of treatments that can address just about any problem you might have, so if your smile needs a little help, you can always rely on us. 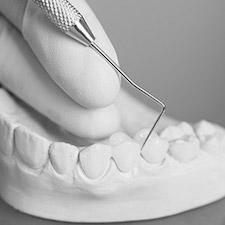 CAN DENTAL CROWNS AND BRIDGES REPLACE MISSING OR BROKEN TEETH? When it comes to restoring and even replacing teeth, dental crowns and bridges are two of the most trusted and reliable treatments out there. A dental crown can be used to enhance a tooth cosmetically and/or restore its lost structure, while a dental bridge can actually replace one or a row of consecutive missing teeth. If you have teeth in need of repair, one of these treatments is probably exactly what you’re looking for. CAN YOU FIX MY TOOTH WITH ONE VISIT DENTAL RESTORATIONS? Yes - With most dental practices, it takes at least two appointments spaced about a week apart to get a tooth fixed with a dental crown. In today’s modern society, this just isn’t fast enough! To help our patients get the dental care they need on THEIR schedule, we’re happy to offer E4D one-visit restorations. 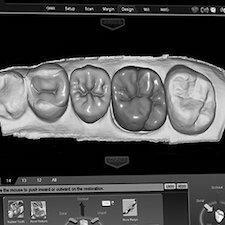 With this high-tech system, we can design, fabricate, and place a completely custom-made crown in just about an hour! 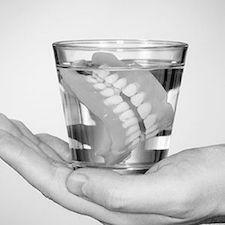 WHAT ARE FULL & PARTIAL DENTURES? These are two kinds of dental prosthetics that are used to replace multiple missing teeth. They both consist of natural-looking ceramic teeth attached to an acrylic, gum-colored base. A full denture is used to replace an entire row of teeth and it’s held in place directly on the gums using natural suction and denture adhesive. A partial denture, on the other hand, fits among the remaining teeth like the missing piece of a puzzle, and it uses small metal clasps to stay in place. If you have any questions about the treatments we’ve outlined here, be sure to ask us about them! With our help, we can give you a smile you’re truly proud to show off again. To learn more, or to schedule an appointment, please contact us today.